What do I get as a reward? Sanctuary was my first full-length book, and it's very exciting to me that I will soon see it in print. For all you KU readers out there, give it a try! What do you have to lose? Skye Jackson is a children’s therapist, a loving daughter, and well-off. Determined to save a young boy from his abusive father, Skye's plans come to a halt when a deadly rabies plague sweeps the globe. Infected, death, and destruction--nothing is the same. In a world where money will no longer help her, Skye races one step ahead of the enemy only to find herself stranded in the middle of nowhere. Struggling through this post-apocalyptic world alone may be more than Skye is prepared for. I'm an online fiction writer. You can find my stories on Wattpad and Tapas. I enjoy sharing my stories, getting feedback from my readers and honing my skills. Where else can I get that? And Wattpad and Tapas readers? Well, they get to read at no cost and interact the authors of the stories they love. I've been a writer for a while, but a writer of non-fiction. I decided to try writing fiction and after sticking a tentative toe in, I quickly jumped in without looking back. If you haven't had a chance to check out one of these sites, you should! 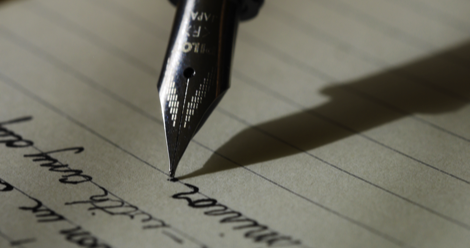 There you will find anyone from beginner writers to best-selling novelists. 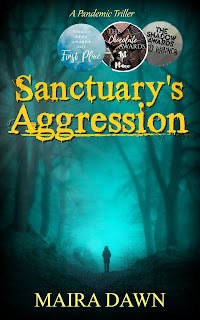 Sanctuary's Aggression, my post-apocalyptic survival series, will soon be moving to Kindle Unlimited! Because I'm self-publishing, and I have almost no budget, I have designed the new cover myself. I've done a ton of studying on what makes a great cover for my genre, and I hope I have done it justice. Thank goodness I took art in school. I love all the support I've had at Wattpad. Sanctuary's Aggression was liked by far more people than I ever imagined. When I started I thought I would be happy if 100 people read my book, Now I have over 5,000 followers! That is what has given me the confidence to try my story in a bigger pond.